We first got to taste our appetizers, we were guided to our plates and we then got hold of some chips (later I found out was ampalaya chips), a chocolate goodie and panna cotta. But then ushered in a smell so delectable, my sense of smell was going wild with excitement. 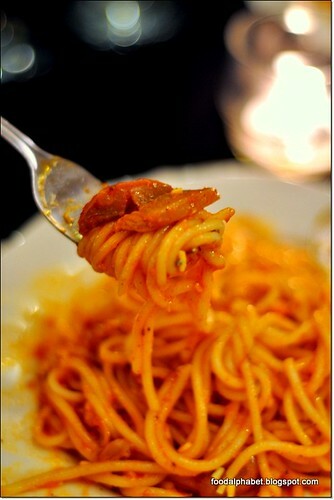 It had a strong sense of a pasta dish, assuming i was right, we were then guided to our plates and forks were all over. And the scent of the dish got my attention. And after a taste, my guess was Pasta cooked Al dente with fine herbs and spices only a great Italian chef could have made...Wow! 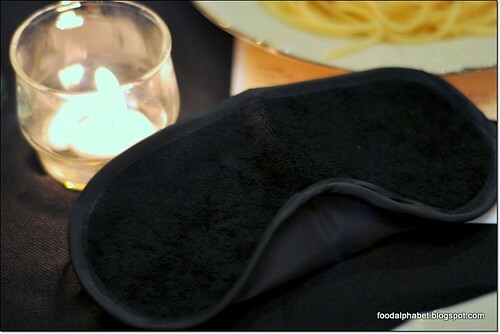 This pasta dish was simply amazing, and then we were told to take off our blinds and see for ourselves what was tickling with our noses and taste buds. Everyone was delightfully surprised with what we were all enjoying! Surprise! 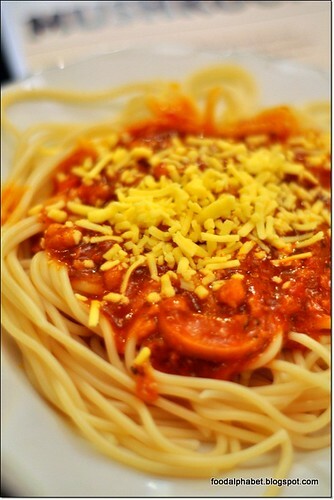 The all new Chicken and Mushroom Pasta from Jollibee! 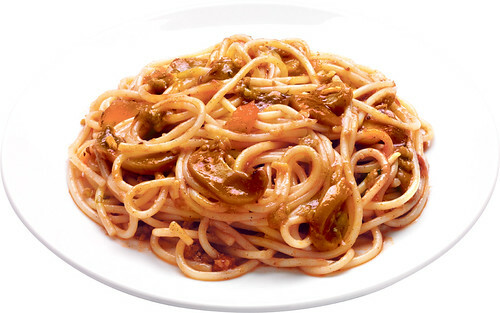 Just look at the firm pasta al dente and all that sweet tomato sauce with a peppery twist with loads of mushroom, kids will love it, adults will worship it, finally a new pasta dish to tickle your senses. 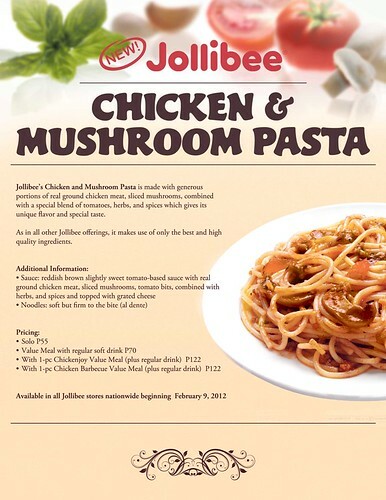 Come order and enjoy the new Jollibee Chicken and Mushroom pasta at all your favorite Jollibee outlets nationwide starting Feb. 9, 2012. Available at P55.00 for single order, P70 as a value meal with drinks, or enjoy it with your Chicken Joy or Chicken BBQ for a price of P122 only. 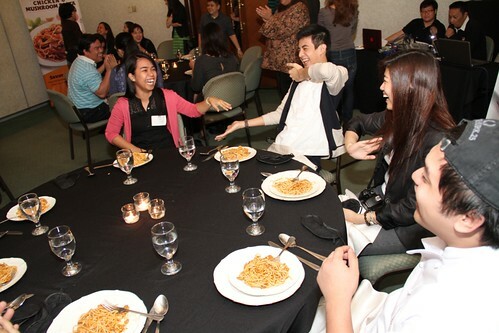 Great times, good meals only at Jollibee! Oh my, that looks GREAT! And what a fun event to experience. Hehe!